1. What is SMP it in simple terms? 2. When does SMP start? This depends on whether your company pays you over and above SMP, otherwise known as contractual maternity pay. SMP will begin when your contractual maternity pay ends. For example if your company offers you 4 weeks full pay, SMP will kick in from week 5 of your maternity leave. If you are off work for 4 weeks or more due to a pregnancy related illness, SMP will start automatically. If your company does not offer SMP, then SMP will kick in from your first day of your maternity leave. To have worked for your employer without a break for at least 26 weeks. 4. How to claim SMP, once you are eligible? Giving notice You need to inform your employer of your due date and when you would like to start your maternity leave at least 15 weeks before your baby’s expected arrival. Your employer may want this in writing. In turn, the company must confirm your start and end dates in writing within 28 days. Providing proof of your pregnancy You need to provide your employer with proof of your pregnancy to receive SMP. You do not need proof to take maternity leave. At least 21 days prior to your SMP start date you should give your employer either, a MatB1 form from your doctor or midwife or a letter from your doctor or midwife. Providing evidence is crucial, as without it you cannot receive SMP. Your employer must explain to you why you do not qualify for SMP within 7 days of their decision via a SMP1 form. You may qualify for Maternity Allowance instead. 6. How is SMP calculated? For the first six weeks, you will receive 90% of your average weekly earnings. Over the remaining 33 weeks, you will then receive £140.98 per week or 90% of your average weekly pay, whichever is lower. Calulate how much you will receive here. 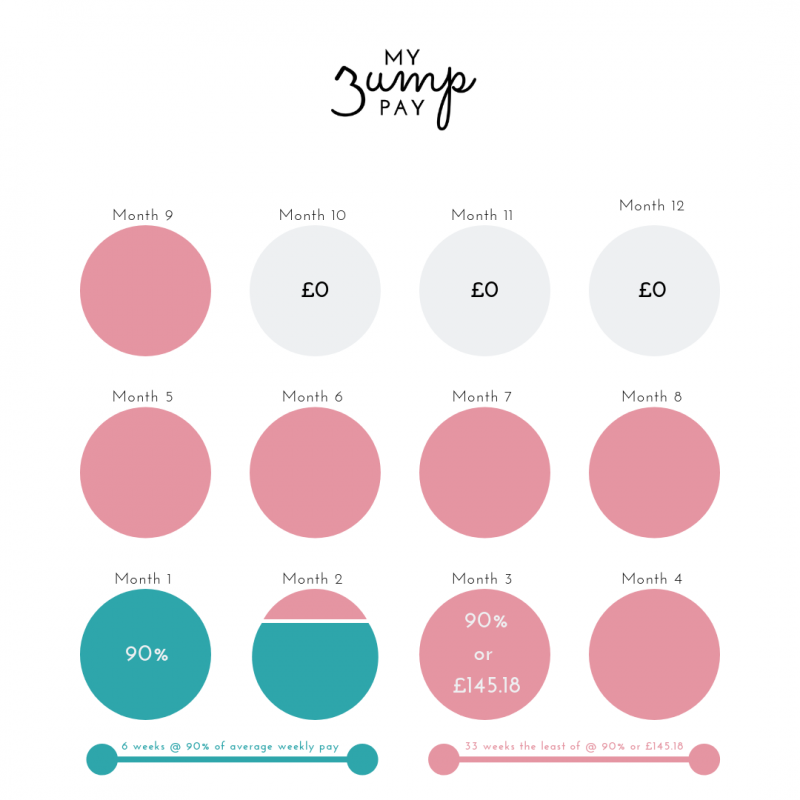 Some organisations offer over and above statutory maternity pay. Compare and find out which companies offer maternity pay and more, here. If you can’t find the company you are looking for and what to share your experience, we’d love to hear more from you in our survey. Our research shows that 55% of women receive their bonus whilst on maternity pay. 35% receive their bonus without any contractual obligations and 22% have some contractual obligation. Things are not always set in stone, it is worth asking your employer if there is possible for you to receive your bonus whilst on maternity especially if your efforts prior your leave were in line with your targets. 9. What is paternity pay? Statutory Paternity Leave must finish within 56 days of the birth (or the due date if your new arrival comes early). The start and end dates are different if you are in the process of adopting. 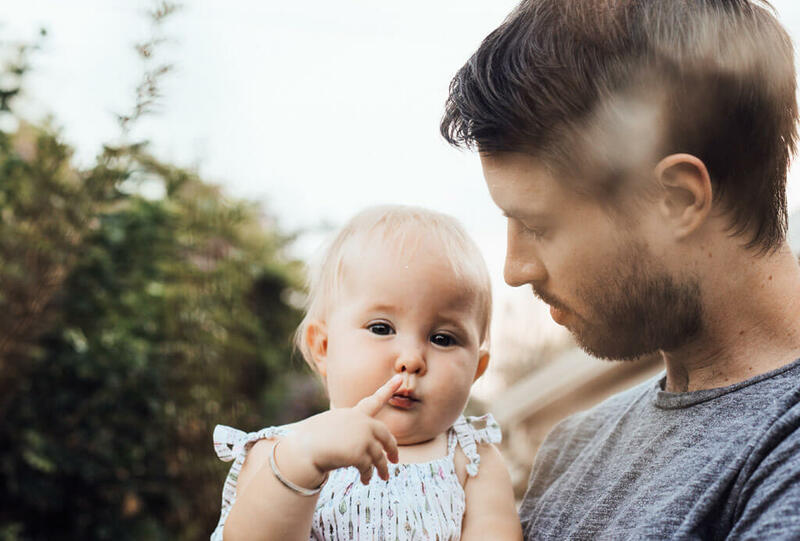 How much is Statutory Paternity Pay? Statutory Paternity Pay is set at either £145.18 a week or 90% of the father’s average weekly earnings (whichever is lower). Tax and National Insurance will also be deducted. 10. Can you get SMP if you’re self-employed? Statutory Maternity Pay (SMP) Statutory Maternity Pay is mostly only available to employed women. If you’re self-employed but you have a second job alongside, you may be able to get SMP from your employer. 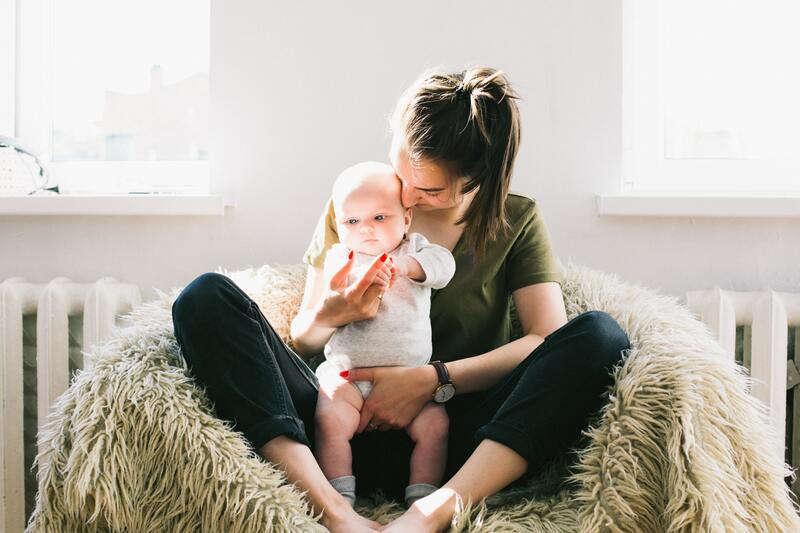 If you’re completed self-employed with no additional income, it’s very unlikely that you can claim SMP or get Statutory Maternity Leave. However, you may still be able to get Maternity Allowance. 11. What happens if you lose your baby after 24 weeks? If you find yourself in this tragic position, the law says that if your baby passes away before the 24th week of pregnancy, it is classified as a miscarriage. However, if it happens after the beginning of the 24th week of pregnancy it is referred to as a stillbirth. In this case, you will receive a certificate of stillbirth which is the evidence you need to be eligible for Statutory Maternity Pay or Maternity Allowance. In the unfortunate event that you need miscarriage support, please do reach out the Miscarriage association helpline. Don’t suffer in silence, you can find a list of support platforms and helplines for baby loss here. 12. If I become pregnant on maternity leave will I still be eligible for SMP? Yes, you will qualify for a further period of up to 52 weeks’ statutory maternity leave to cover your new pregnancy. The number of previous maternity leave periods you have had aren’t taken into account, or whether they overlap or not. You’ll firstly need to work out which date you are required to return to work after the maternity leave you’re currently on. Decide whether you would like to take your full 52 week allocation, and if not then you must give your employer at least eight weeks’ notice of your early return. The next thing to do is decide when you want your next period of maternity leave to start. The earliest this can be is the beginning of the 11th week before the week your new baby is expected to come along. It is up to you to choose when you would like to start your maternity leave and you should tell your employer no later than the 15th week before your baby is due. If your first maternity leave finished before the 11th week before your next baby is due (or before the date you would like to start your next maternity leave), you will need to return to work in the meantime unless you take another type of leave, such as annual leave. 13. I think I’ve been paid incorrectly. What should I do? Speak to your employer and ask them to explain your SMP if you think it may be incorrect. If you disagree with the amount you’re getting or your employer can’t pay (because they’ve gone out of business for instance), ring the HM Revenue and Customs (HMRC) advice line on 0870 042 0477. 14. My employer is going into liquidation – will I still get my SMP payments? Sadly employers become insolvent (run out of money) every day in the UK. This can happen even once when you have qualified for Statutory Maternity, Paternity, Adoption or Sick Pay and your payments have started. If the worst happens, you will still get your statutory payment once you have qualified for it. If your employer is still operating, you should continue to receive your payments from them as normal. Alternatively, they may pay you the rest of your SMP in a lump sum. If your employer goes into liquidation (closes down), then the administrators should get in touch with you to guide you on applying for your statutory payments from the government. 15. My employer is making people redundant. How will it affect me while I’m on Maternity Leave? The law says that it’s discriminatory for an expectant mum to be made redundant simply because she is on, or is about to go on, maternity leave; it’s classed as unfair dismissal. Your employment contract will lay out your specific rights so always check it closely if you have one.